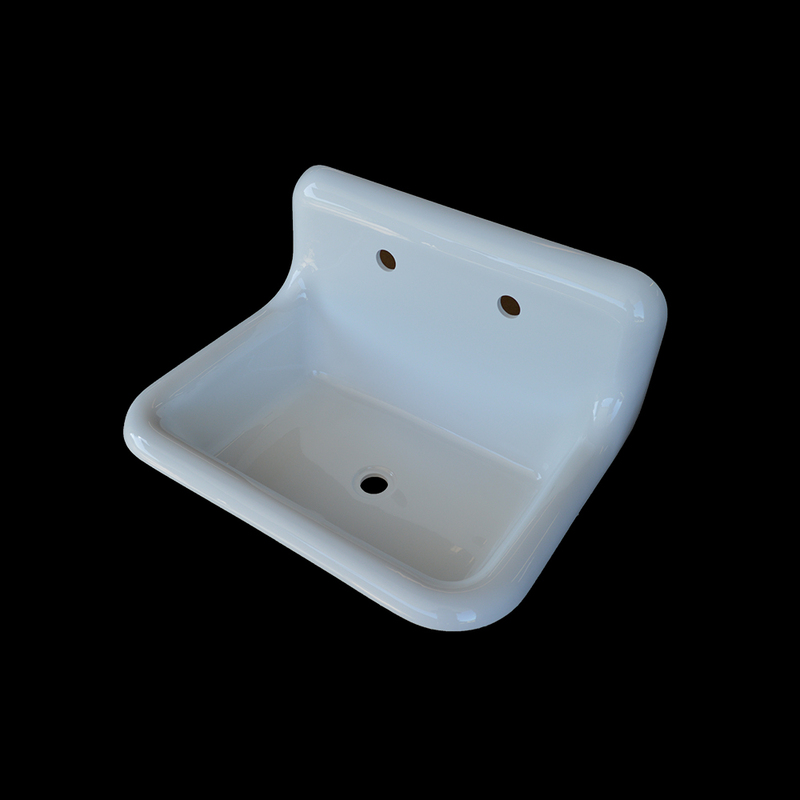 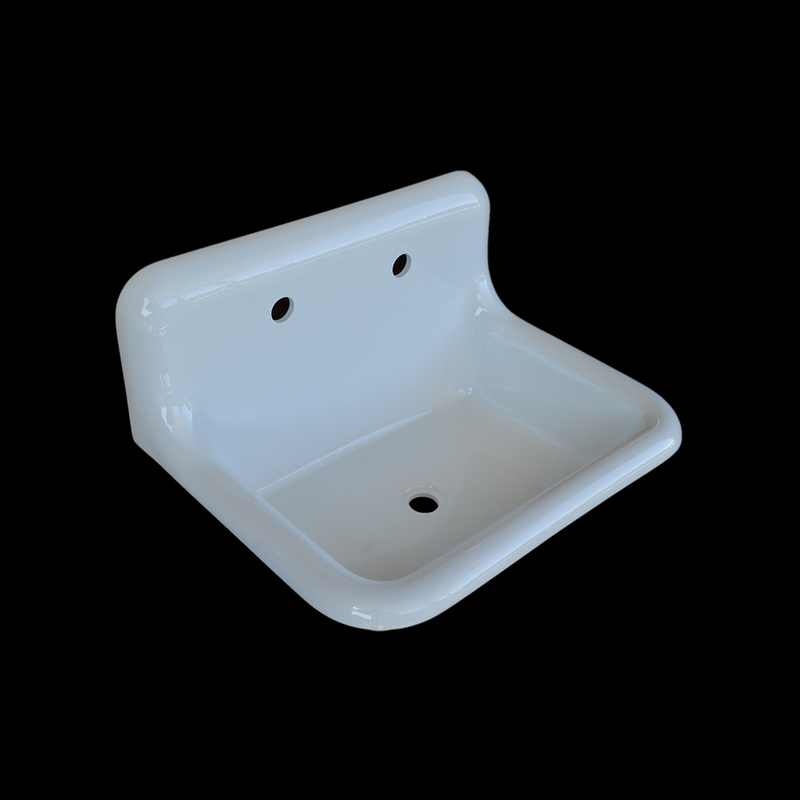 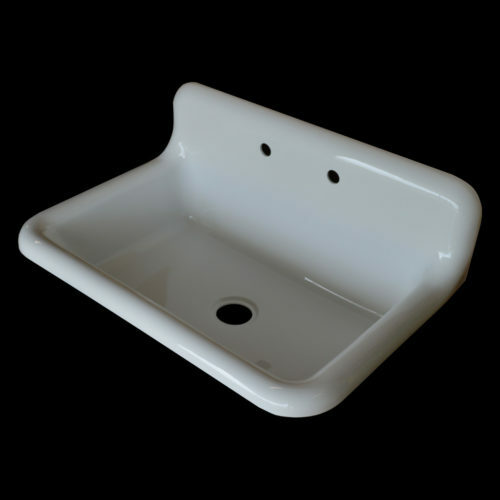 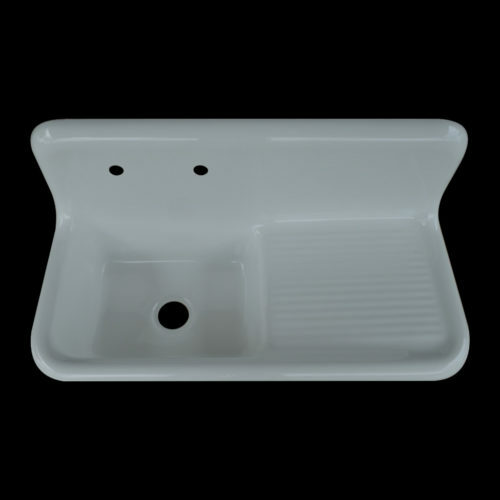 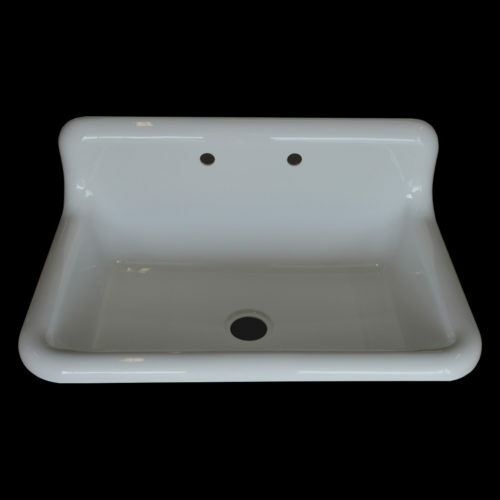 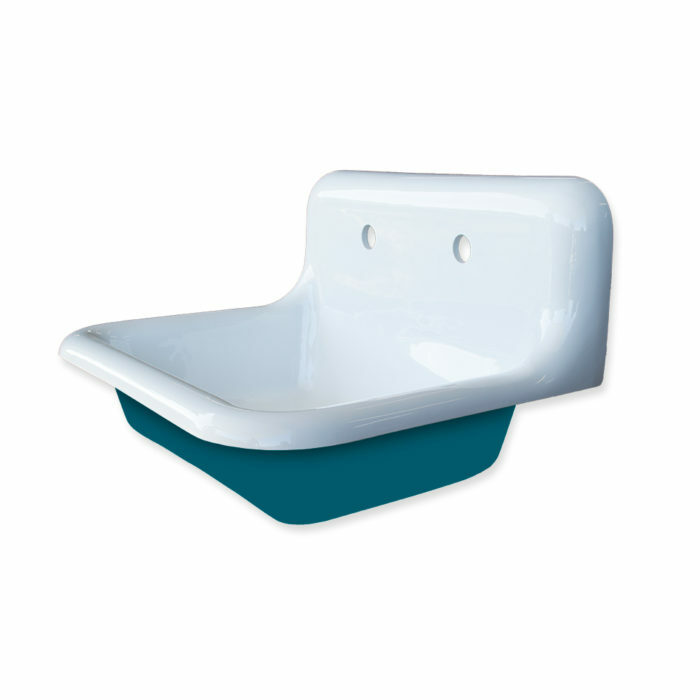 A reproduction of an original early century design, this compact single basin serves well within smaller spaces. 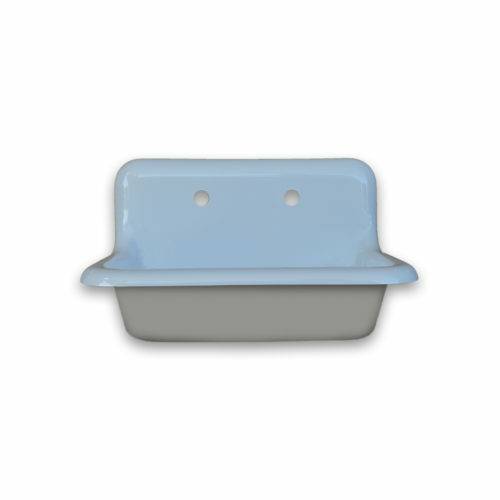 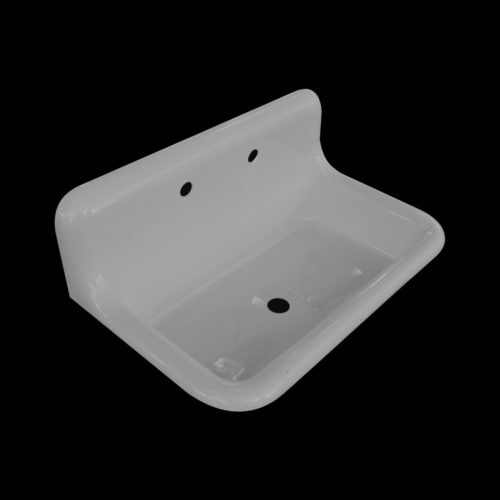 Recommended for laundry room, bathroom, and mudroom applications. 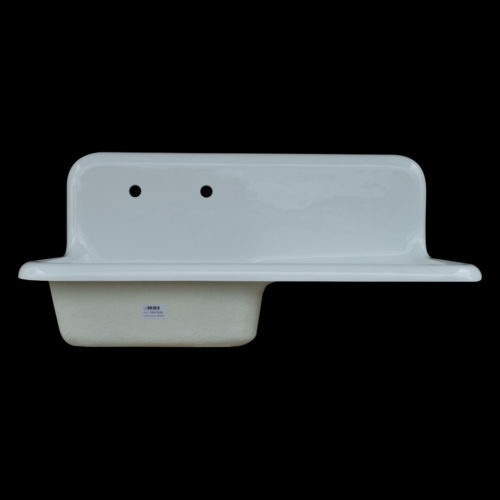 This model includes a wall mount kit for those wishing to free hang the sink from a wall. 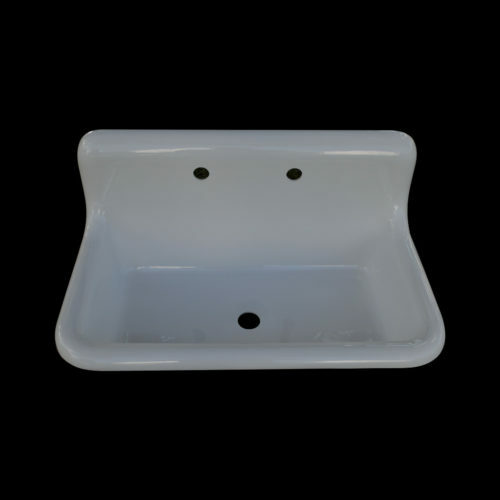 The exterior of the sink has been finished and painted in Sherwin Williams “OCEANSIDE” color.